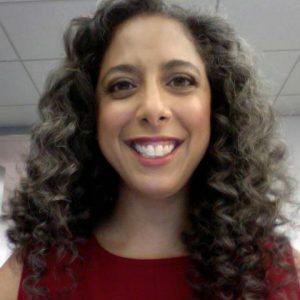 This month, Lexicide welcomes Lylah M. Alphonse, a longtime reader and Managing Editor for news at U.S. News & World Report. Ms. Alphonse bravely volunteered to tackle niggardly (mentioned last month), along with some other offensive and offensive-sounding-but-actually-inoffensive words. Way back in late September, North Korean leader Kim Jong Un hit back at at U.S. President Donald Trump’s “Rocket Man” insult by cracking open what old-school journalism professors like to think of as The Big Book of Five Dollar Words People Never Really Use in Real Life and finding one that we haven’t heard in a while: dotard. He lobbed it at Trump via a strong statement that rippled across the media as much for its newsworthiness — it was the first time North Korea had released an official first-person statement from its Dear Leader — as for its word choices. But when Lexicide delved into the definition of dotard, Otto mentioned a word that sparked a tangent in my mind, one that demands further exploration. The word is niggard (in more common use today in its adjective form, niggardly). The tangent: words that sound offensive but have inoffensive etymologies. The reason why niggardly seems and sounds offensive are obvious*: few people learn the etymology of words and instead engage in inaccurate free-association. (See apropos, bemuse, enervate, under guise of, stagnant, and too many others to mention. — Ed.) The surmised meaning of words change, and ultimately, eventually, language evolves. So niggardly fell out of favor, and the aware among us instead use synonyms like miserly, stingy or meager. Other once-common descriptors (like colored, Mongoloid, Indian giver, chinky-eyed, yellow, and “Free, white and 21”) also fell out of favor, replaced by more-neutral alternatives (like person of color, South Asian, “takes back the gift,” epicanthic, cowardly, and independent, respectively). Chigger is another example. Is the tiny mite disgusting? Yes. But the word itself? Not so much. Same with jigger (a measure of liquor) and snigger (a snide half-laugh), though chink started out innocent in the 1530s — a split or crack in a fence, say, or in armor — and became a pejorative by 1901. Or rather, an innocent word suddenly found itself with an etymologically unrelated homonym — the earlier chink is derived from chine, a Middle English word which today describes a ravine. The ethnic slur is of course derived from China. Hysteria also seems like it could be offensive, though few people seem to be offended by it. The word comes from the Latin hystericus, which means “of the womb,” and was once used to describe an ailment that primarily afflicted women. But the characteristics of that ailment — extreme moodiness, volatile emotions, attention-seeking behavior and/or loss of control — are now used to describe men, women, children, and large groups of people in general. Renege can be mistaken for a racial slur of some sort, but the word — from the Latin negare, “to deny” — has nothing to do with race and everything to do with denial. Ditto chicanery, which comes from the French word chicaner, “to quibble,” and means “trickery,” not “Mexican.” In the Boston area, a popular dessert topping is said to have racist overtones, but there’s nothing remotely racist about the origin of chocolate sprinkles and people still order jimmies on their ice cream. This entry was posted in commentary, words on October 18, 2017 by mark.